In a pickle during the holidays? My pickle ornament pairs well with the antique and glass ornaments on this tree. At our extented family Christmas Day gatherings, after the presents and food, perhaps during game playing, movie watching and family discussions, you can usually find our 23 year old stretched-out, in full, sound asleep on the floor. His brother and sister, cousins, aunts, uncles, and grandparents are used to this. We step over and around him. I think one year I put my plate of Christmas cookies on his stomach while we were watching It's a Wonderful Life. It's what we do. Last year, however, his large presence was missing from the floor, or at least the sleeping didn't commence until much later in the day. "Why?" you may ask. I have but one answer: the pickle. My brother-in-law had been overseas for work in the fall and had gone to a winter outdoor bazaar in Dusseldorf, Germany. 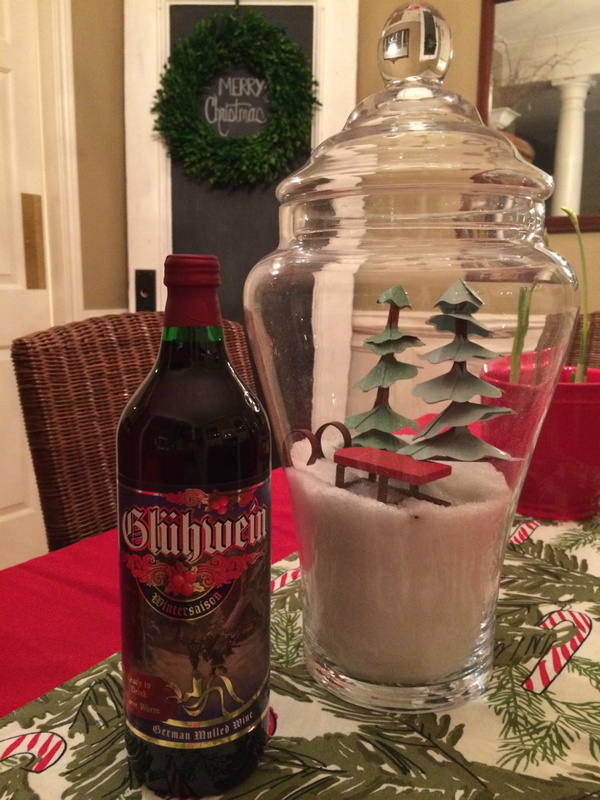 I happened to be at his house when he returned and enjoyed hearing about his experience at the charming bazaar complete with live music, hot Gluhwein, and snow. When I asked him what he got at the bazaar he showed me a neat little wooden box with... glass pickles in it. The ornaments came packaged with one large and two small pickle ornaments. 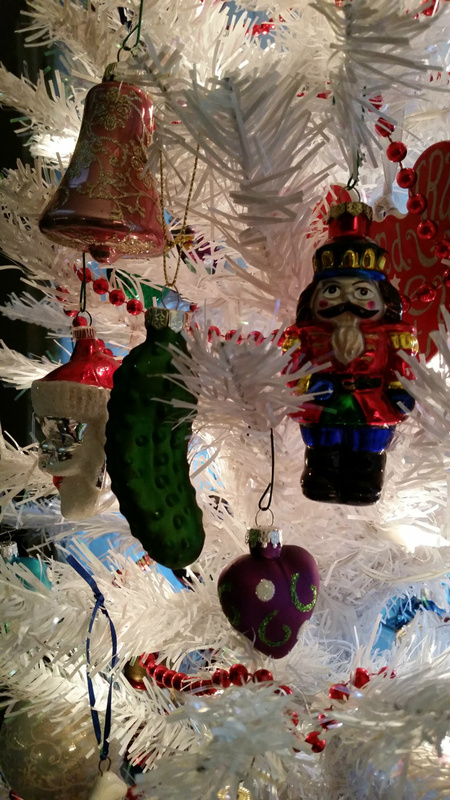 Apparently, it is a German tradition to hide these pickles on the Christmas tree. The person who finds a pickle can expect good luck, an extra present, or a sweet treat. I was intrigued by this tradition, and when I googled it I found different takes on the legend of the "pickle." Jan Wiese-Fales, in the Columbia Daily Tribune on 12/18/2013, pointed out that F.W. Woolworth of Woolworth's Five and Dime Store began importing the ornaments to America in the 1880s, eventually making a fortune from doing so. She also wrote that Christmas trees are a German tradition and that glass ornaments in the shapes of fruits and nuts also originate in east-central Deutschland, supposedly made by glassblower Hans Greiner in the mid-1800s. Sure. Why not? Sounds reasonable. And didn't my brother-in-law bring back Christmas pickles from the source? Wikipedia staunchly reports that the Christmas pickle is an American tradition that did not originate in Germany but has been imported back to that country because of the stories associated with it. 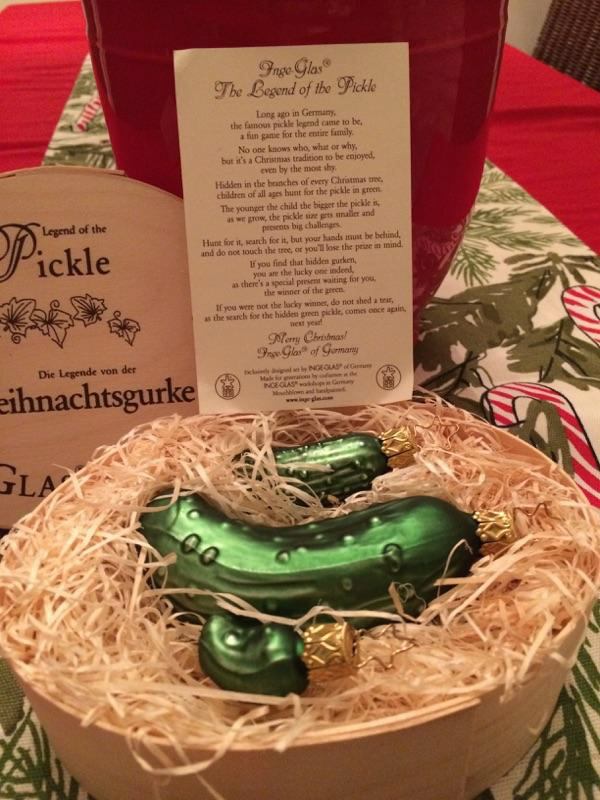 The Christmas pickle, referred to as a Weihnachtsgurke, can be traced to two origin stories. One being that at Camp Sumter during the American Civil War, a Bavarian born soldier in the 103rd Pennsylvania Infantry was captured and taken to a prison camp. On Christmas eve he supposedly begged a guard for a pickle because he was literally starving. This pickle saved his life and upon his release from the camp and his return to his family, he started a tradition of hiding a pickle in the tree. The second story is from the Victorian era. In it St. Nicholas saved two Spanish children who were trapped in a barrel of pickles. 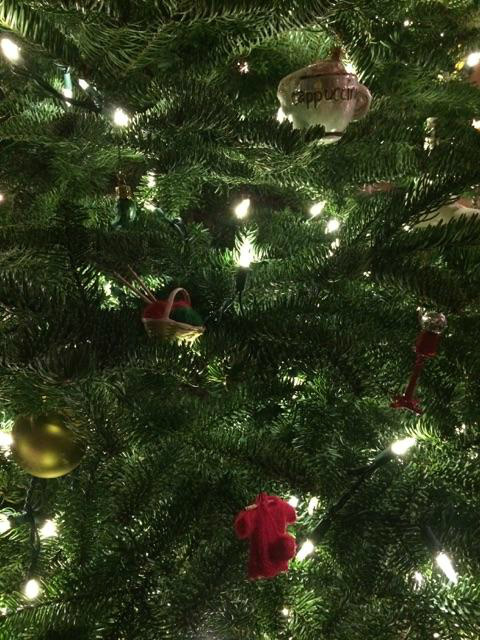 But enough about that... My sister-in-law is very effective at hiding this ornament in the tree. It took my son a good 20 minutes, on and off for over an hour or so, to locate said pickle. Once he did, he was presented with a basketful of small wrapped gifts from which to choose, and it was then his turn to do the hiding. You aren't planning a trip to Germany any time soon? No worries. 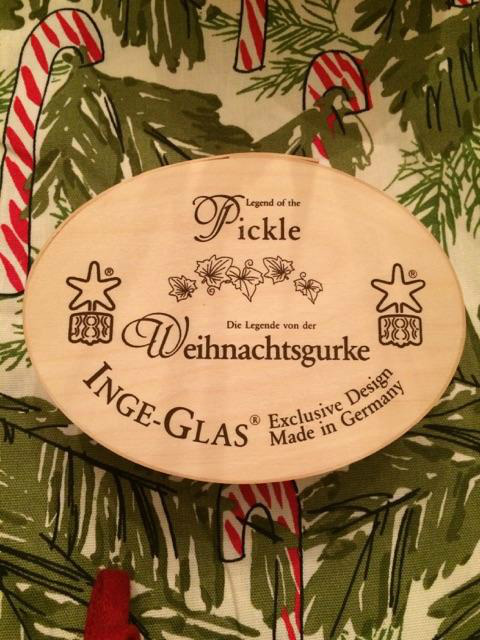 You can pick up your pickle ornaments at Cost Plus World Market for $3.99. Quite a deal for hours, nay years of Christmas fun if you ask me! *Photos courtesy of Julie Gatewood. 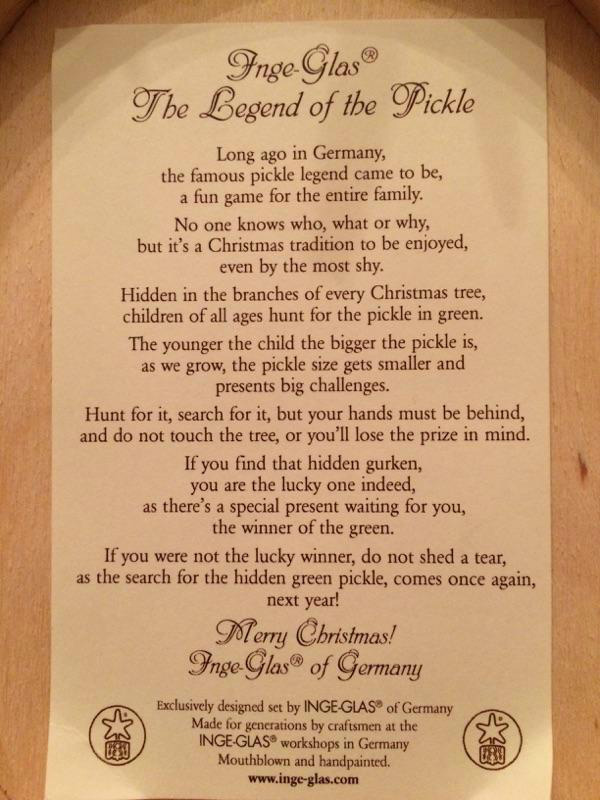 The Legend from the German pickle says that "no one knows who, what or why" this is a Christmas tradition. You've gotta love a DIY present that is as easy as this! 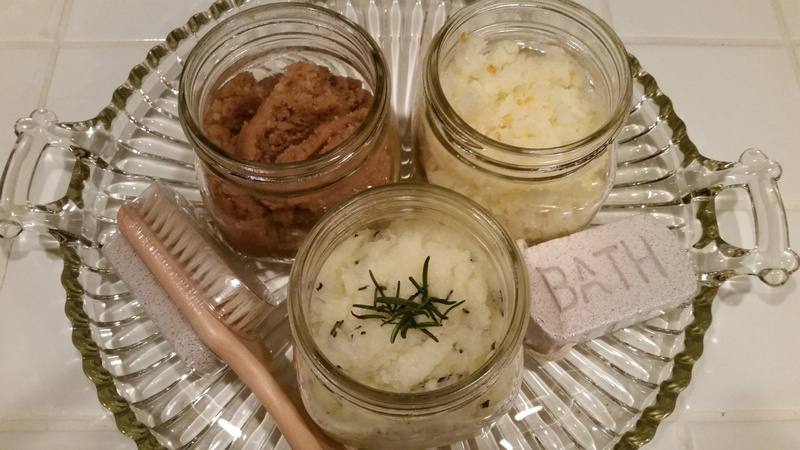 Brown sugar cinnamon, citrus, and rosemary mint foot scrubs. They do look good enough to eat but trust me, you don't want to! This year at our extended family gathering I want to bring something special for all of the ladies, as well as having something special for a few friends - 12 plus. Living in southern California I have grown to appreciate the importance of keeping your feet in shape. It seems like I never wear real shoes down here and not only do my feet get dirty, but the bottoms get very dry. Since I don't want to spend the funds to have a pedi every week, I'm constantly looking for soothing creams or scrubs that clean, moisturize and tingle my feet. I figure all the girls and many of the guys at Christmas will appreciate a good foot scrub that smells great. 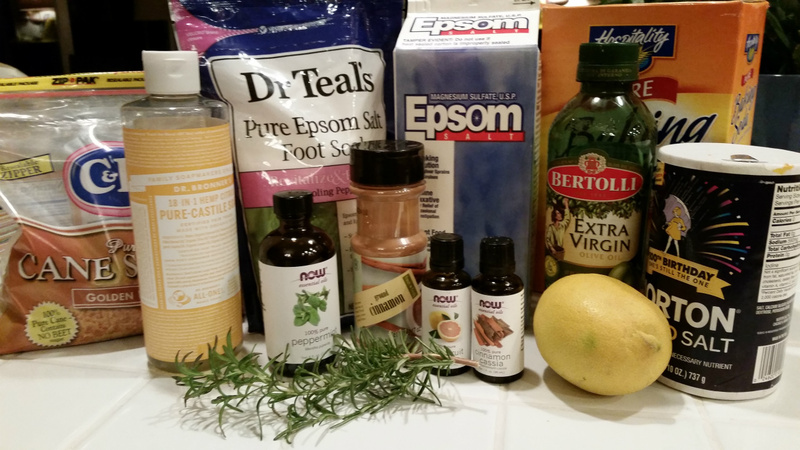 As I searched the internet for foot scrub recipes, I made a list of the various ingredients I found and purchased several of them. I started with what I knew would be the most expensive: essential oils. I suppose I could have gotten them online but I hadn't thought ahead so I purchased them at a local health food grocery store. I decided to use peppermint, citrus (grapefruit), and cinnamon. The three bottles were 40 dollars total, and I have enough to start my own business and make foot scrub for the next ten years. 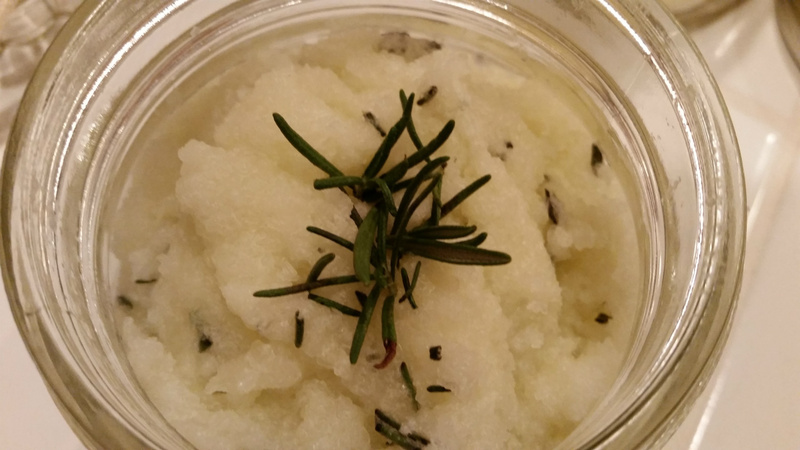 I began by using a recipe from Thesmallthingsblog for rosemary and peppermint foot scrub. It made one jar full. This scrub looked and smelled great, but I wanted to include some of the other items I had read about. For example, Epsom salts are full of magnesium and I think essential in a foot product. They are also really inexpensive - about 2.99 for a 4lb box. Plus, if I don't use them all I can fertalize my roses and do about 101 other things with them. 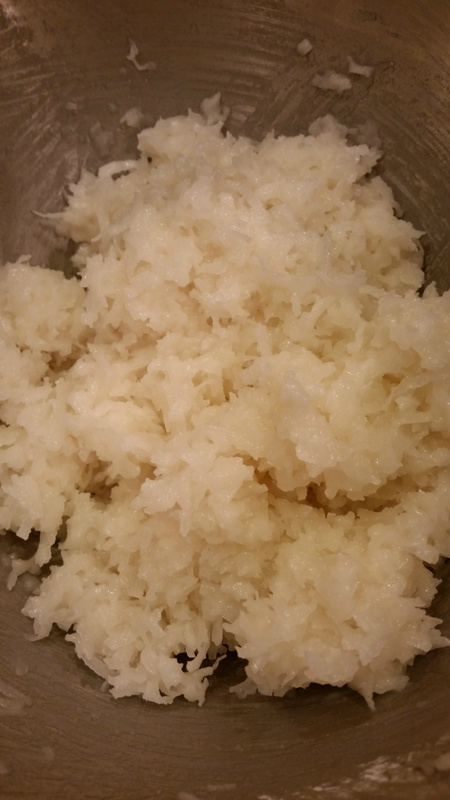 I wanted it incorporate some olive oil into my recipe because the coconut oil is not a liquid at room temperature. Baking soda is soothing and acts as a deoderizer and the Castille soap will help everything rinse off with water. 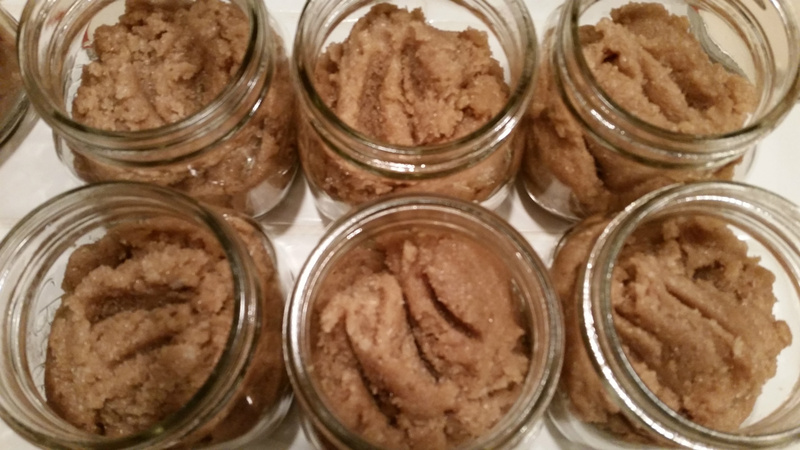 We have all used sugar scrubs and I liked the idea of mixing some of the brown sugar with the cinnamon essential oil. I'd love to give you a recipe for each scrub I made, but honestly, I just got out my large steel mixing bowl and started pouring and stirring. I can say that in all three scrubs I started with a few cups of the Epsom salts and added everything to them. I had to use my hands to mix at times because the coconut oil tended to ball up and needed to be smashed. My rosemary and peppermint scrub is oilier than the other two. 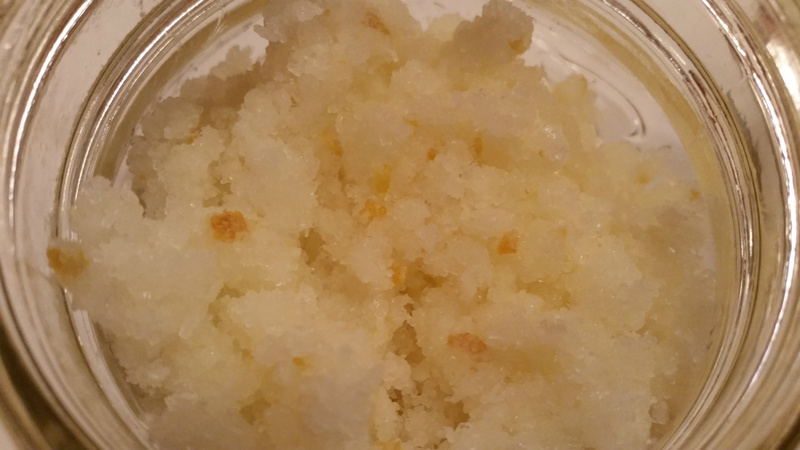 I felt like the citrus scrub needed some color, so I zested a couple of lemons and mixed it in. 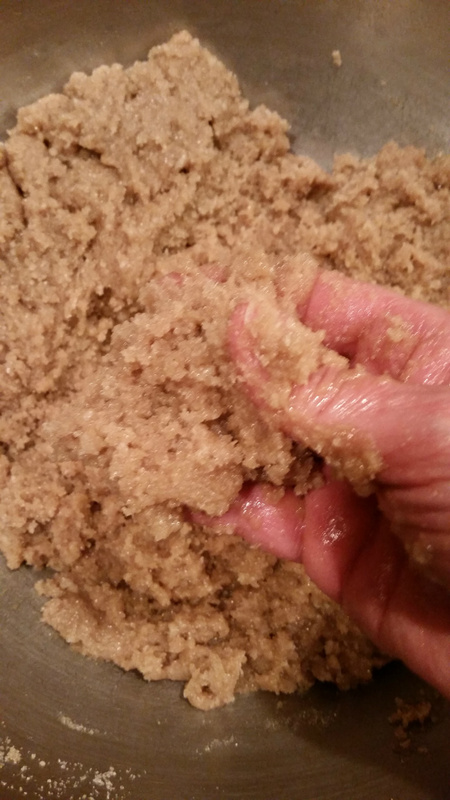 I also added real cinnamon to the brown sugar scrub. After putting the scrubs in jars I decided to refrigerate them because of the fresh ingredients. After all, they put things in the fridge at LUSH, my favorite bath and body store! I am looking forward to gifting my concoctions to my friends and family. I will provide a list of ingredients for each one, along with a suggestion that they be kept in the fridge and only be used on feet. Those essential oils are strong and I don't want to be responsible for what would happen if somebody decided to scrub their face instead of their feet! One last thought... I did read about a vanilla and coffe scrub that sounds great too. Maybe next time! Coconut oil and white sugar not pictured. 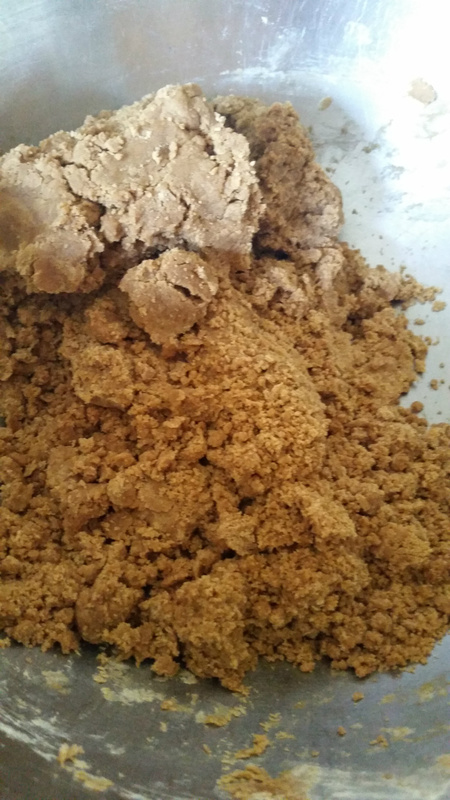 Mixing the brown sugar and cinnamon with my hands. Brown sugar and cinnamon ready to go! Red Hot candies make for an interesting crunch and pop of cinnamon. She was my best friend in high school. She was beautiful, fun, wore so much mascara that her eyelashes looked like spider webs, and made me laugh. Her mother was a marvelous cook. When I spent the night we inevitably baked cookies. Two kinds of cookies to be exact: gingerbread and monster cookies. 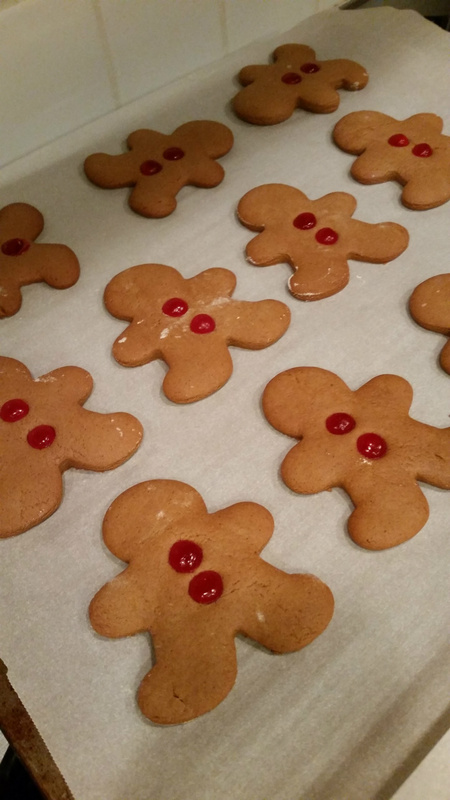 My mother made cut-out cookies every Christmas from my grandmother's recipe, but never gingerbread ones. It seemed an exotic treat to stir-up this recipe at Angie's house. I'm sure we ate most of those we baked. In later years I made these cookies on various occasions and usually topped them with Red Hots for Christmas or used chocolate chips as buttons during other times of the year. 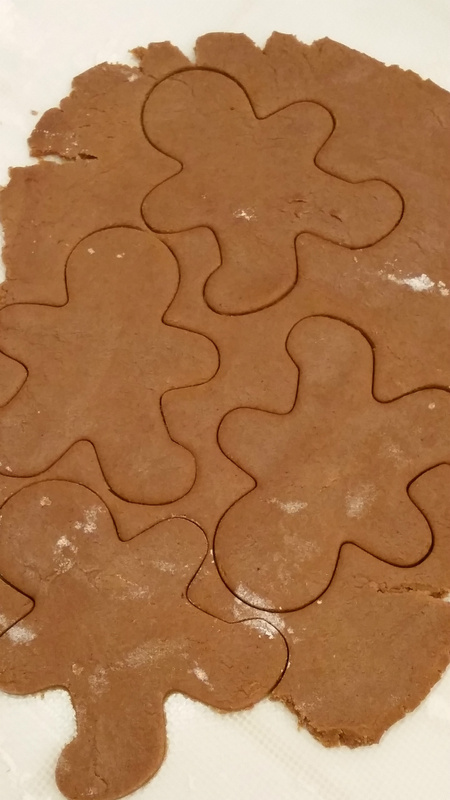 This recipe, in Angie's handwriting on a recipe card from a group of recipes she gave me as a wedding shower present, makes three dozen smaller gingerbread men and is delicious hot out of the oven. I prefer to make them rather thick and undercook them a bit. Time and miles have separated my old friend and me, but when I make these cookies I am transported back to a time when I knew that somebody always had my back and I could eat all the cookies I wanted! 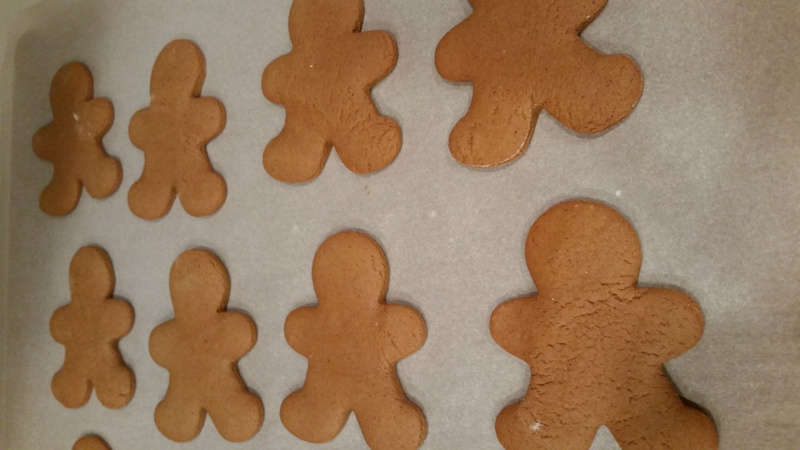 Note: I realize in this day and age of political correctness that I should perhaps have titled this blogpost "Angie's Gingerbread People" but I have only made gingerbread boys (not men) out of this recipe. Feel free to make whatever you like from this delicious dough! Makes 2 plus dozen depending on the cookie size. Start by mixing all the wet ingredients with the sugar. This recipe is easy to make. I simply throw the sugar and all of the wet ingredients in the mixer bowl and mix away! 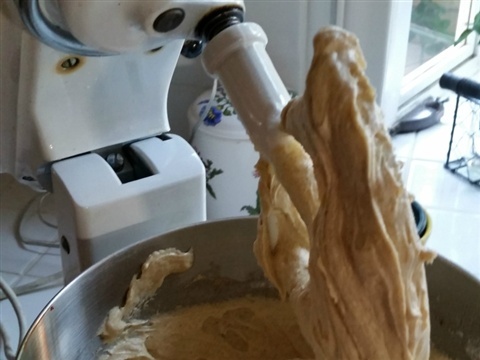 Don't make the dough too dry! Measure all dry ingredients into a large bowl, add the wet ingredients and stir. I suggest starting with 5 cups of flour and add more until the dough is firm but can be made into balls. 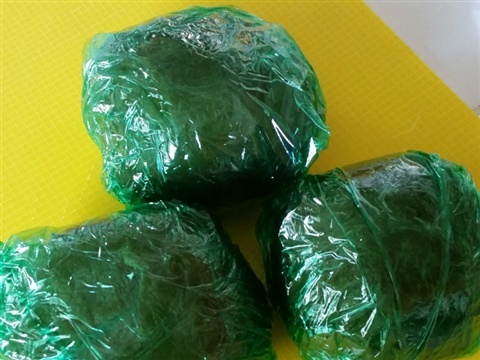 I like to make balls of the dough, wrap in saran and chill for at least an hour before rolling and cutting. The cookies should be baked for 10 minutes at 350 F on parchment. You may want to frost your cookies with a glaze. No gravy for these mashed potatoes. These were always amidst the Christmas cookies at our house growing up. I don't know when mom started making them, but I do remember the astonished voices of guests or friends they were given to exclaiming "these have mashed potatoes in them?" Yes, mashed potatoes are the secret ingredient. Mixed with coconut and powdered sugar, the potatoes provide a nice gooey base for the bonbons. I love Almond Joy, so you know I've got to put an almond in the middle of each one. They would also be delicious with marischino cherries in them! Now for the chocolate to roll them in. As I was looking for recipes on Pinterest I was horrified to see that most of the recipes included straight-up paraffin wax mixed with the chocolate. What? Yuck! And I'm not talking just a little. A half a bar. As I looked further I read several recipes that simply used melted chocolate chips as the coating. 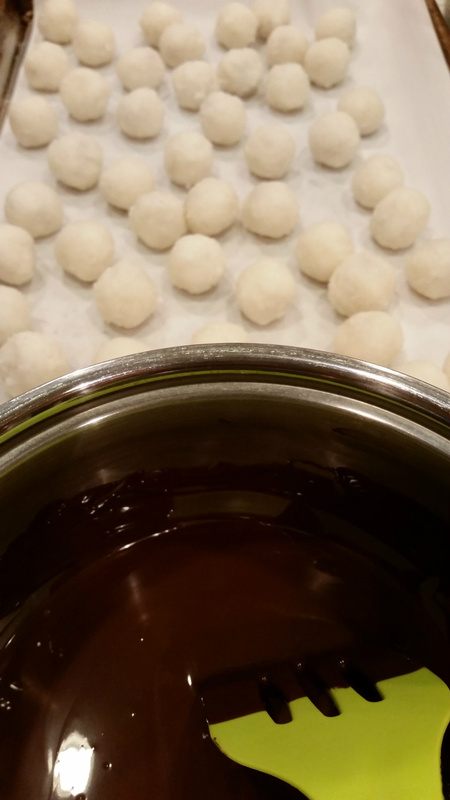 If you slowly melt them in a double boiler, microwave or just in a pan on the stove and don't let them burn or boil, they will be perfect to dip the balls in and the chocolate will dry solid. 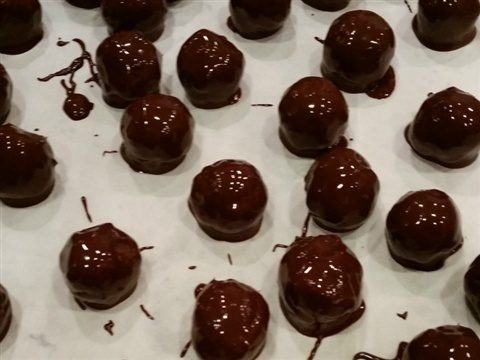 These bonbons keep in an airtight container in the fridge for easily up to three weeks. I made at least 3 dozen using this recipe. 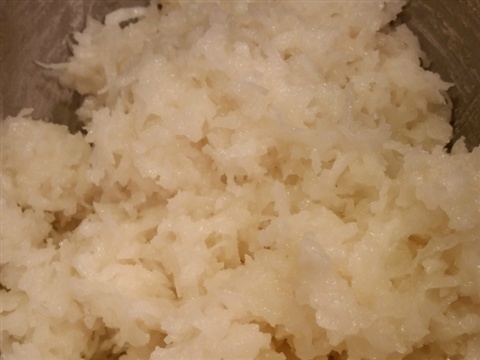 Mix together potatoes, sugar and coconut. Place in fridge for 1/2 an hour. 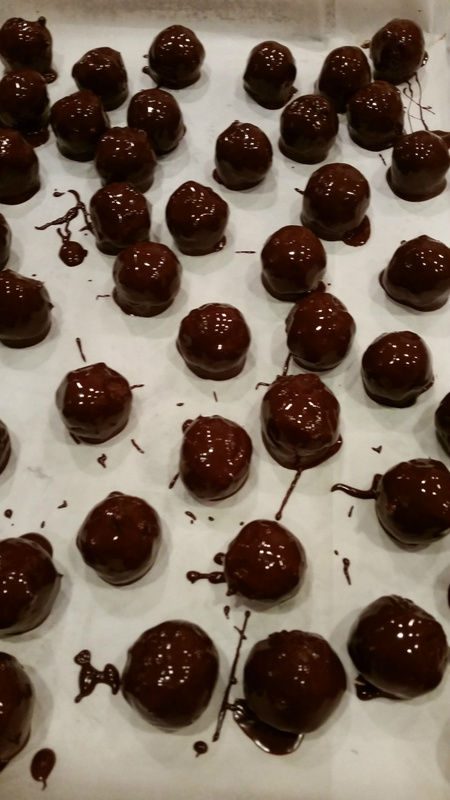 Take out of fridge and form into 1"balls around an almond, cherry, or anything you desire. Freeze for 1/2 an hour. I used Ghirardelli 60% bittersweet chips. 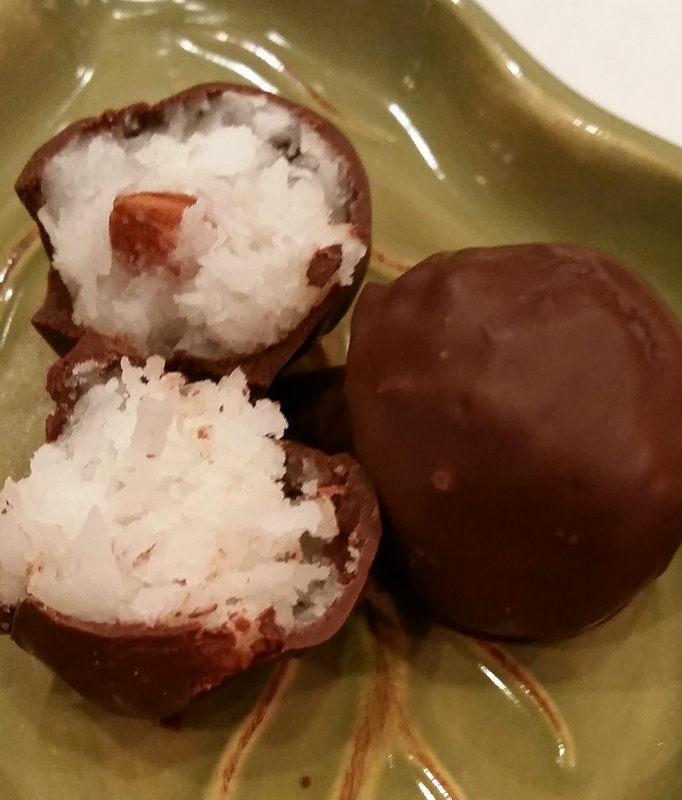 Melt chocolate in microwave, double boiler, or saucepan. 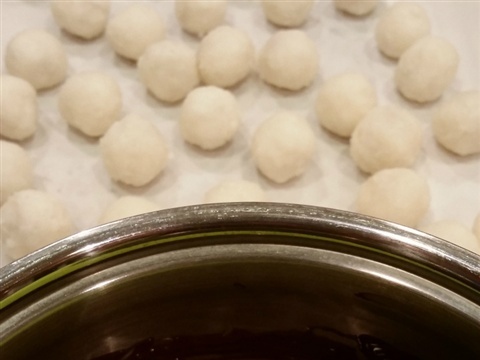 Dip balls and place on parchment to dry. An orange tree on my walk around the block. I still marvel when walking or driving by citrus trees laden with fruit. It is just so foreign and special to me. 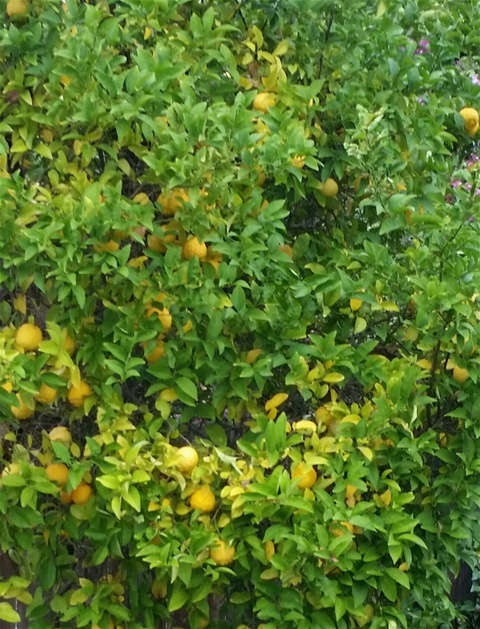 I also am amazed by people who have these trees in their yards and don't use the oranges or lemons or limes. One house in my neighborhood has a great pomegranate tree/bush with huge pomegranates that I have watched go from ripe to rotten. Makes me sad. Another house has a tangerine tree, which is kind of unusual to see in a yard. Those tangerines are so ripe and ready for picking, and they are just on the other side of a chain-link fence! Maybe I will get the nerve up to knock on the door and ask if I can pick some of them... I'll let you know. We are lucky enough to have some fantastic neighbors with an orange tree and they are willing to share! I do love fresh squeezed orange juice, but I also want to share this citrus bounty with our family in Oregon when we visit for the holidays. My solution is candied orange rinds! In order to make them right I turned to the domestic goddess herself - Martha Stewart. **Recipe for candied citrus rinds continued in the Main Menu under More Holiday 2015. 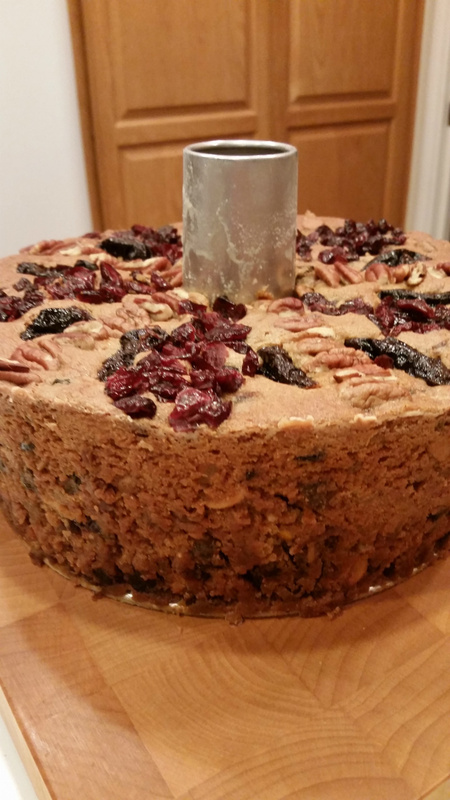 My very own first fruitcake - 2015 style! I love it when I find quotes from others who say exactly what I feel! Today, while reading Fruitcake 101: A Concise Cultural History of This Loved and Loathed Loaf by Jesse Rhodes on Smithsonianmag.com, I found such a quote. "This time of year I enjoy remembering people through food..."
YES! I realized that I have been doing just that on my blog, especially in the holiday posts. And here I go once again. My mother-in-law has been one of my cooking inspirations for many years. She came from a farm cooking tradition, her mother working as a cook on a ranch in her younger years. 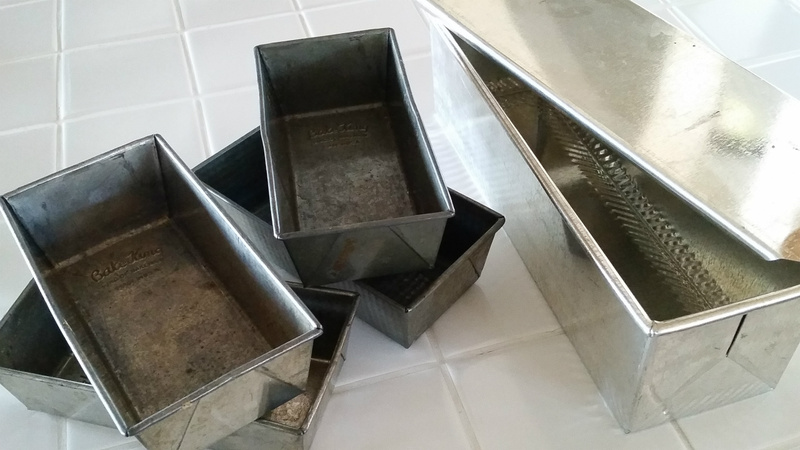 I learned about canning, using a cast iron skillet, making bread, and fruitcake from Arlene. 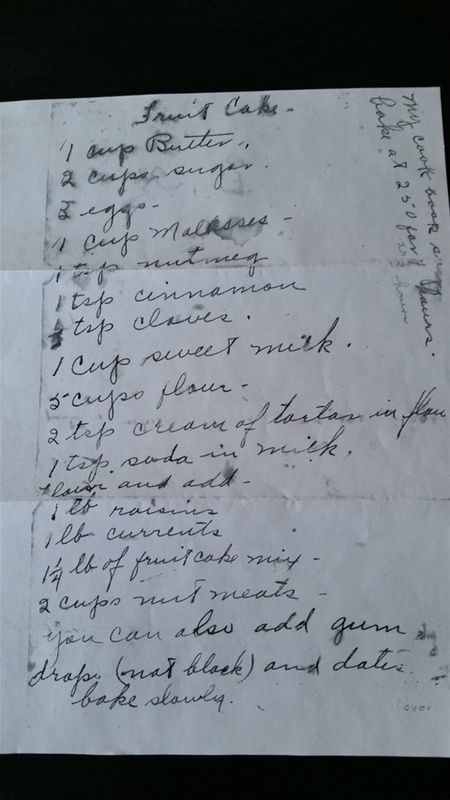 She has a giant brown file folder where she keeps hand written recipes from friends and family, and recipes that she has clipped from newspapers and magazines for the last 50 plus years. I have never met anyone who actually takes the time to record on favorite recipes the dates they made the recipes and how they turned out, but Arlene does! Like many families, we have our favorites and we often make them for holidays. Fruitcake was one of Arlene's favorites. 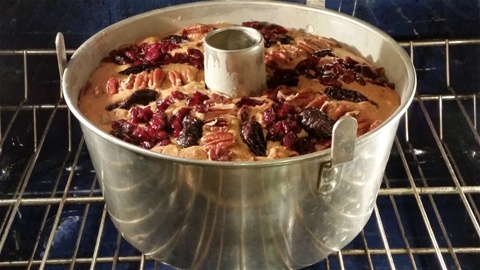 Every fall, like her mother before her, Arlene would gather the ingredients for fruitcake, buy the only alcohol she ever purchased, use her special little loaf pans, and make fruitcake. Her mother's fruitcake recipe was the traditional kind, and I never especially liked it. She would always bring it out on Christmas Eve and Christmas Day, sliced thinly, and I would dutifully take a piece, eating around the candied fruit and during later years, the gumdrops. The tiny cake part that was left was delicious. A few years ago, when it was time for my in-laws to move from their home of 50 plus years, I found myself taking those special little fruitcake loaf tins and thinking " I can't let these go - what if I want to make fruitcake someday?" How did fruitcake get such a bad reputation? 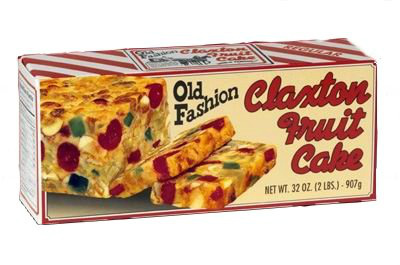 In her Smithsonianmag.com article, Jesse Rhodes suggests that fruitcake's downfall began when it started being mass-manufactured and embeded with candied fruit. In the 18th and 19th centuries in western European cultures it was reserved for weddings and holidays due to the cost and preciousness of the materials such as spices. 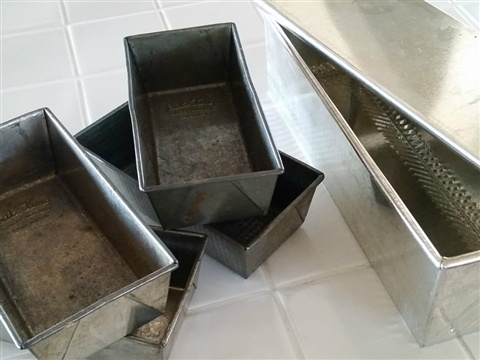 Arlene's fruitcake pans. I love that the small ones have "Baking King - King of Bakeware - Made in USA" imprinted on the bottom. 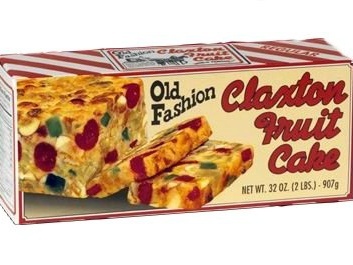 As I thought about my experience with Arlene's fruitcake over the years I came to realize that it wasn't the cake I didn't like - it was the fruit. 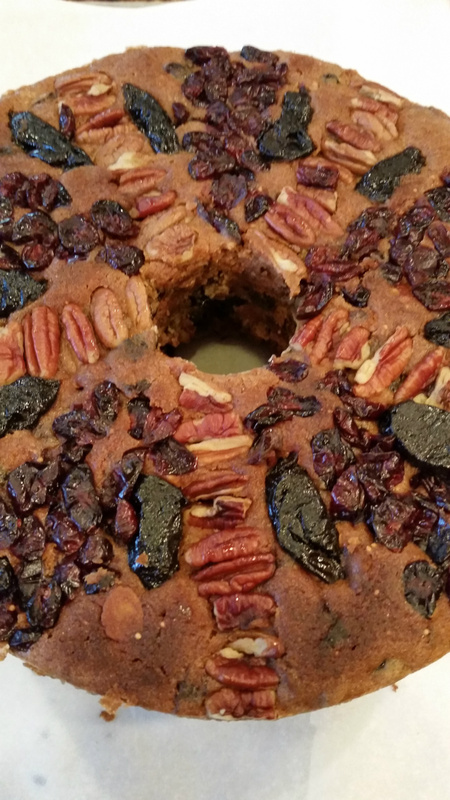 I searched online and found a cooking site named It's Not Easy Eating Green, authored by Rebecca Richmond on which she discusses her family's fruitcake recipe and how she adapted and updated it using dried instead of candied fruit. Now that is a fruitcake I can get behind! 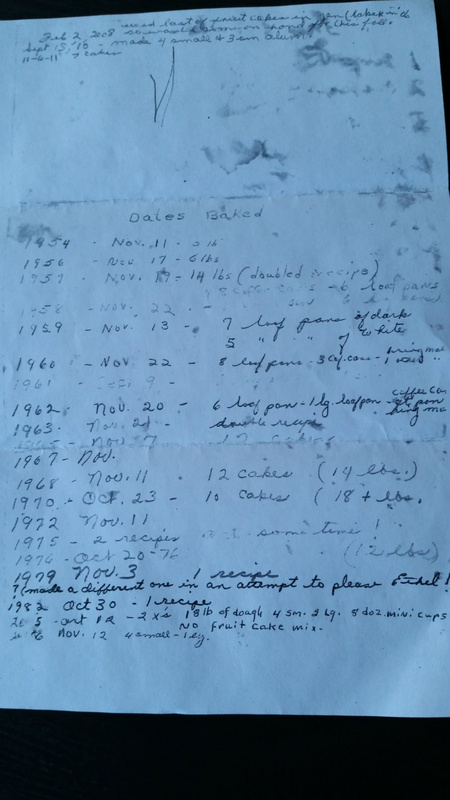 Arlene's list of dates on which she baked her fruitcake. The first date on this list is 1954 - Nov. 11th. She made 5 lbs of fruitcake. The last date is Nov. 12th, 2006 when she baked 4 small and one large pan. I look forward to having her try my fruitcake for the first time this year! 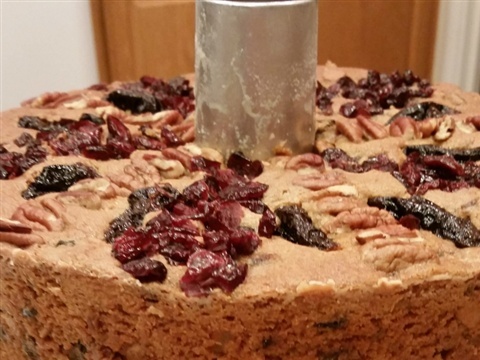 Where to find a modern fruitcake recipe? I decided to make my fruitcakes in a circle pan. 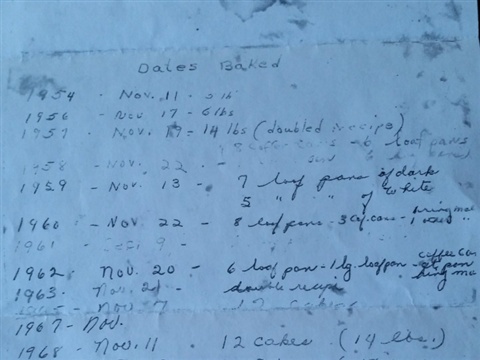 I called my mother-in-law up a couple of weeks ago and she sent me a photocopy of her mother's original fruitcake recipe, written in her mother's hand, and the list of when she (Arlene) had made it. This was after I had gone ahead and found, and made, another fruitcake recipe... twice, because I liked it so well. The recipe I made is from the cooking site entitled: It's Not Easy Eating Green by Rebecca Richmond. In her article about Fruitcake for a New Generation I found a kindred spirit! She shared pictures of an old family fruitcake recipe and expressed the same concerns I felt about that nasty candied fruit and/or gumdrops. Rebecca offered a simple solution - put delicious fresh and dried fruits in that yummy, spicy cake and create something new yet laden with tradition. I was convinced and quickly set-out to gather the ingredients. I realized after reading the recipe that I could easily customize my cakes by including fruits that I liked, for example, Craisins. I also picked some fresh figs from a neighborhood fig tree that I incorporated. As I mentioned above, I enjoyed shopping for bourbon to put in and on the cakes. 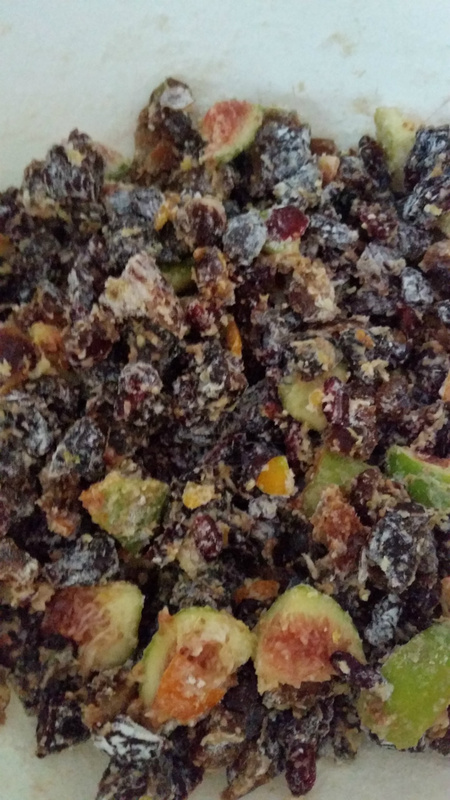 Making fruitcake is a labor of love. Each batch makes about 5 lbs. 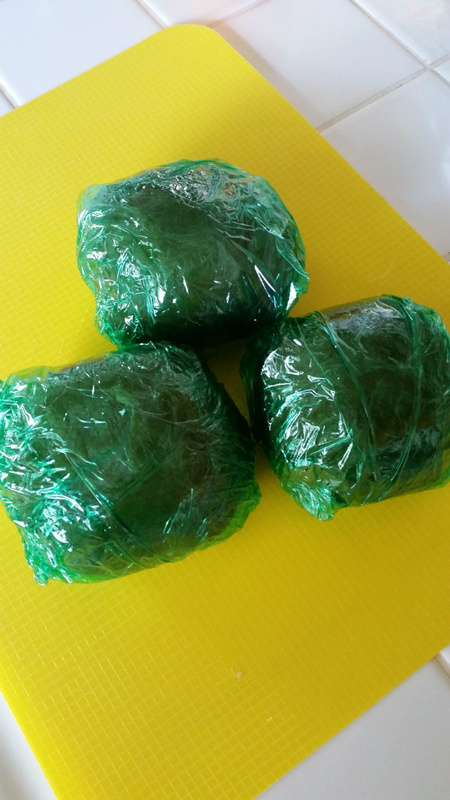 of cake which you have to wrap and store for weeks, or months depending on when you want to eat it. If you include any fresh fruit in the cake, you have to keep it in the fridge. Buying pounds of dried fruit gets expensive, but I'm convinced it is worth it. Next year, I plan on using Arlene's recipe and substituting my own fruit. For now, I will offer her a new taste this Christmas and begin my own fruitcake baking list! Below you will find both the new recipe I used and Arlene's original. 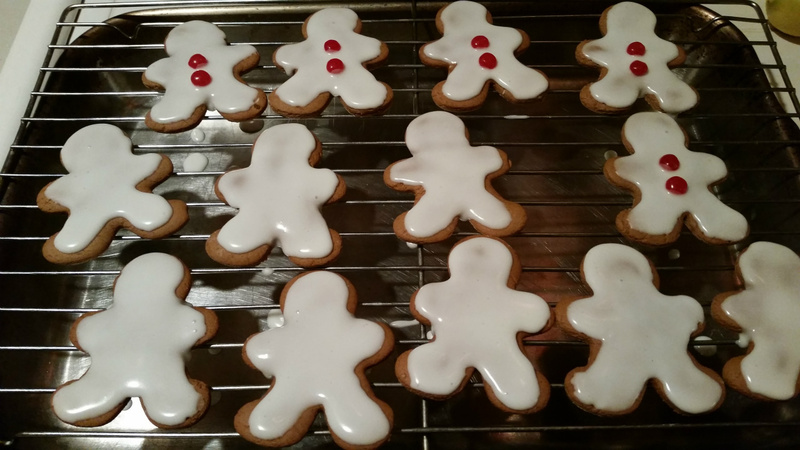 It's not too late to make some for this Christmas! Chop the dates, figs, prunes, apricots and pecans into 1/4" pieces. Chop the ginger into very small pieces about 1/8" in size. Mix all the fruit, pecans, ginger and zests in a large bowl. Add 1/3 cup of the flour and the bourbon and toss thoroughly. Use your fingers to separate all the pieces of fruit so that none are stuck together. Set aside. Preheat oven to 275F. Grease and flour a tube pan and set aside. 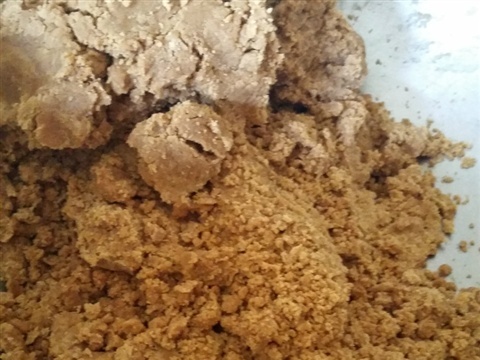 In a medium bowl combine the remaining 2 2/3 cup flour, baking powder, baking soda, salt, cinnamon, cloves, nutmeg and allspice and set aside. I decorated the top of my fruitcake but wouldn't do it again because it made it difficult to cut thin pieces. 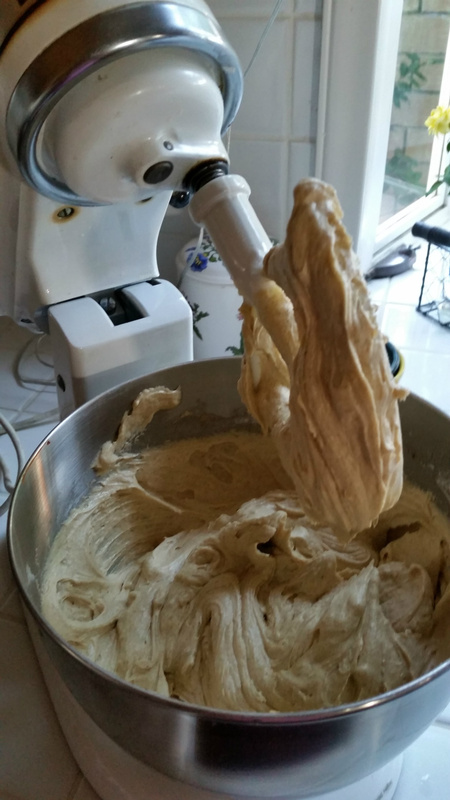 In your mixer bowl combine the butter and sugar and beat until light and fluffy. 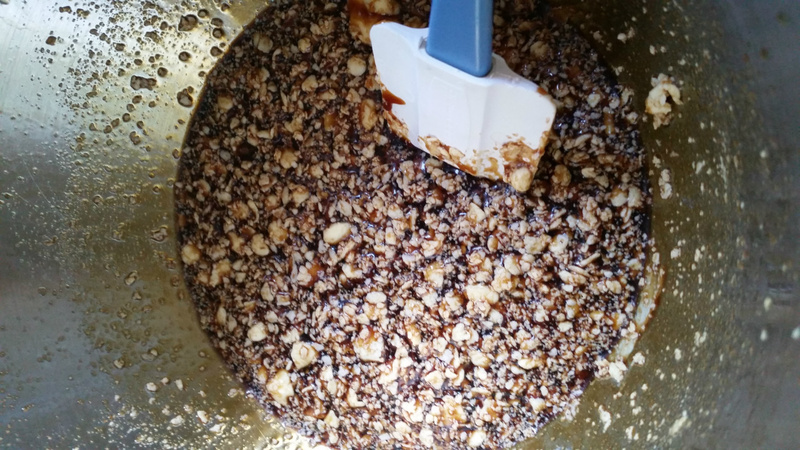 Add the eggs, one at a time, vanilla, molasses, marmalade and mix until combined. Add the flour mixture and mix until combined. 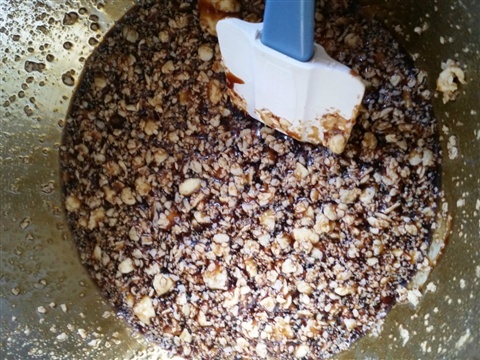 Add the fruit and nut mixture and mix or fold in until just combined. Decorate the top of the cake with fruit and nuts if desired. Bake in the middle of the oven for about 3 hours or until a knife comes out clean and dry. Remove the cake from the oven and let it cool for fifteen minutes. Run a knife or metal spatula around the edges of the pan and around the inner tube before turning the cake out. Let cool completely on a wire rack before covering. 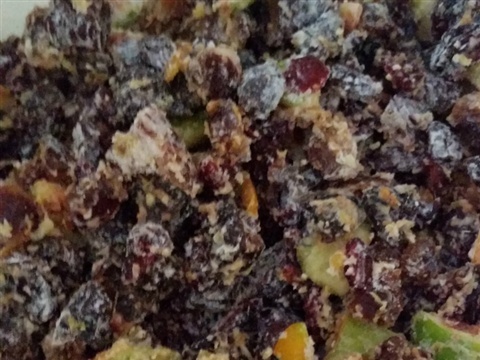 Paint your fruitcake pieces with bourbon. Wrap each piece in cheesecloth and drench again! 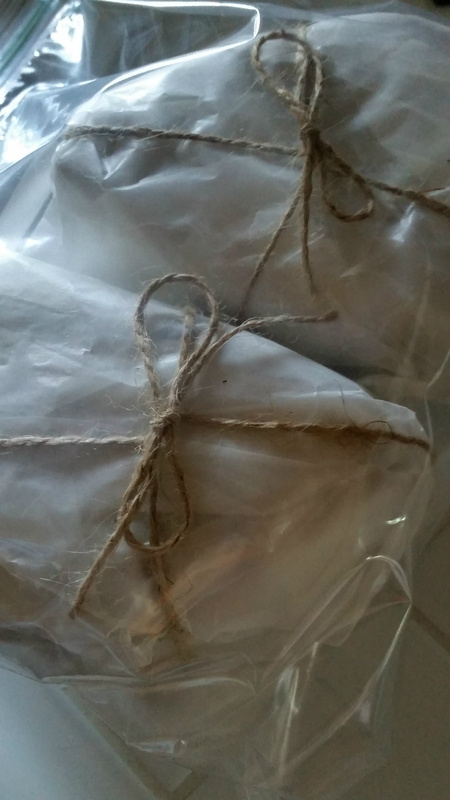 Wrap in waxed paper and store. My husband's grandmother's fruitcake recipe. If you are not a fan of candied fruit or gumdrops you can substitute the dried fruits from the above recipe instead. Differences in this recipe from the one above are that this one contains milk, more flour, doesn't have bourbon mixed with the fruit, and doesn't contain marmalade or citrus zest. You can also add gumdrops and dates. Grease and flour pans and preheat oven to 250F. Cut fruit and mix with nuts and gumdrops. Add a handful of flour and mix. Set aside. Cream butter, sugar, eggs, and molasses. In another bowl mix dry ingredients except for soda. Add the baking soda to the milk. Alternate milk and flour and mix with creamed mixture. Add fruit and nuts and mix by hand. Pour into pans and bake for 3 hours or until a knife comes out clean. Remove from oven and let cool for 15 minutes before removing from pans by running a knife or metal spatula around the edges. 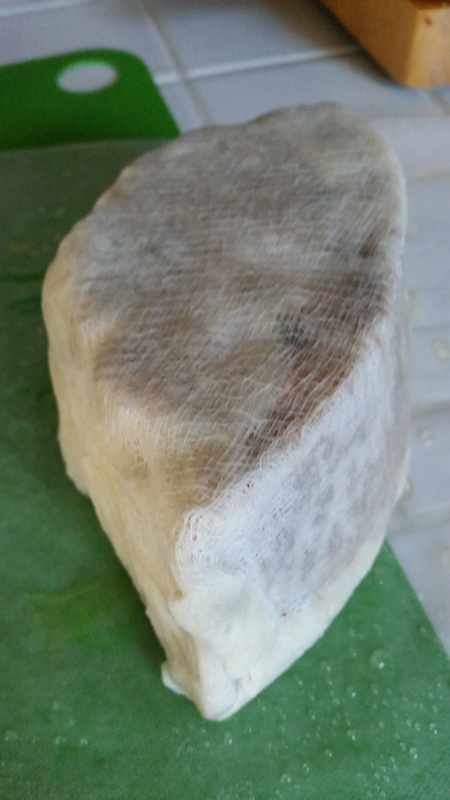 Cool thoroughly before painting with bourbon and wrapping with cheesecloth and waxed paper. Store in a cool, dry container unless cake contains fresh fruit. If so, store in fridge. Can be stored for months. Great sweet honey taste and relatively inexpensive. Perfect for use in holiday baking and sauces. I'm thankful for... Jim Beam. Seriously. I've never been a big liquor drinker. I'm a real lightweight when it comes to alcohol. Sweet white wine like Moscato, a margarita or sangria here and there, and perhaps an Ameretto Sour or gin and tonic if I'm out on the town. And I would prefer just to drink the tonic if it wasn't poisionous in large amounts. I have purchased whiskey for gifts and marveled that someone would actually want to drink it straight. That is, until... last week. In an effort to try my hand at some holiday baking traditions, namely fruitcake, I went to the store to buy bourbon. 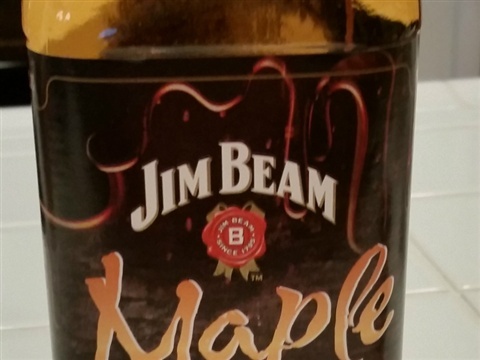 My eye went directly to the new-fangled whiskey offerings from Jim Beam. For the fruitcake I used honey and liqueur Jim Beam bourbon whiskey. 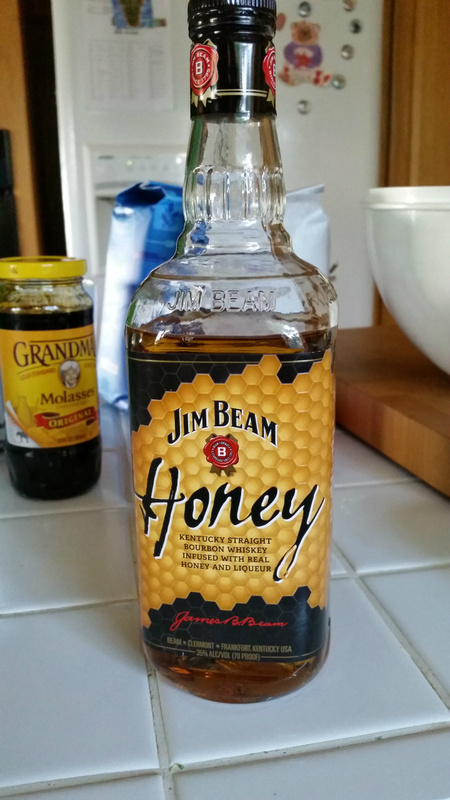 I liked the idea of the honey-taste and the honeycomb label caught my eye. Oh, and it was on sale for $14.99. I got it home and all over my hands while wrapping and painting the fruitcake with it. Had to lick it off of course! 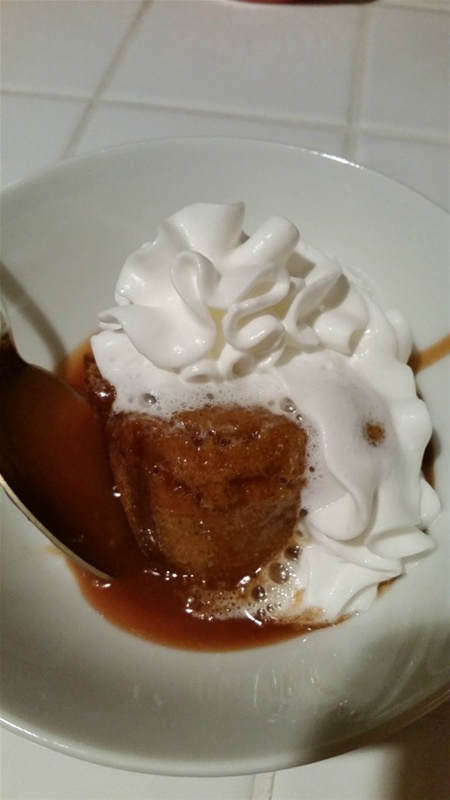 I used the entire bottle on two fruitcakes and went back for more when a cornbread bread pudding recipe called for caramel sauce which included bourbon. 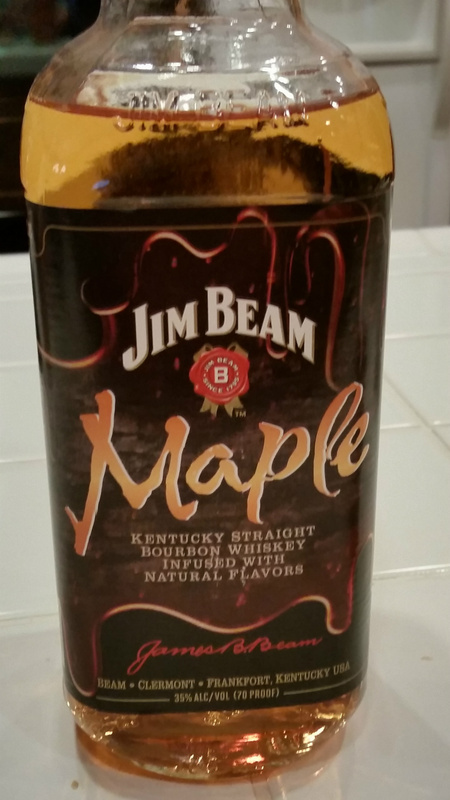 This time I opted for the maple flavor. Best darn caramel sauce I have ever made. For those of you who do not know anything about bourbon, let me enlighten you. This info is straight from the Jim Beam website. Bourbon is the sweet side of whiskey. It needs to be at least 51% corn and corn is a sweet grain. Apparently, in 1964 Congress declared bourbon as "America's native spirit." I guess I am doing my patriotic duty by using it?? Bourbon has to be pure. Only water can be added to it and by law it must be aged in new charred oak barrels. Also, it can't be called bourbon if it is not distilled and aged in the United States and to be called "Kentucky Straight" it has to be distilled and aged in Kentucky for at least 2 years. Wow. I think there are more rules to follow for whiskey to be called bourbon than for someone to qualify for the presidency. Most people are looking forward to enjoying pumpkin pie at Thanksgiving. Now don't get me wrong, I love me a good pumpkin pie with fresh whipped cream - heated just so that the cream is starting to melt. But how can I put this delicately... 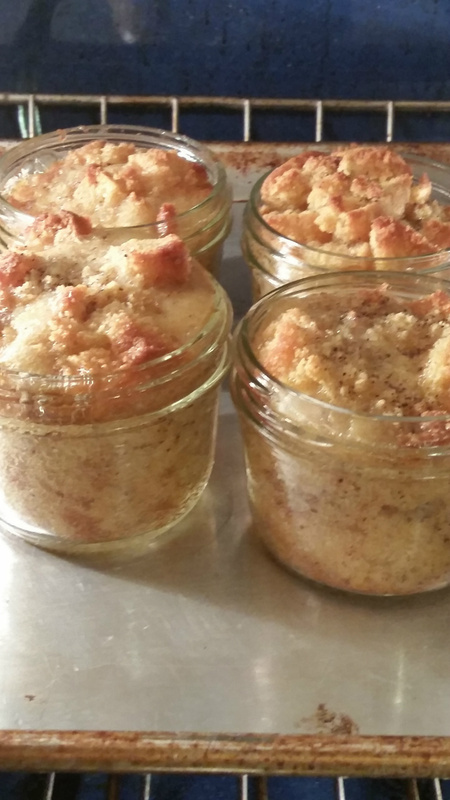 I woul EAT A PIECE OF CARDBOARD IF IT HAD THE WHISKEY CARAMEL SAUCE FOR THE FOLLOWING CORNBREAD PUDDING RECIPE ON IT. It is like eating a warm maple bar but much sexier. Like you are eating a warm maple bar while wearing a pair of stilettos and a little black dress. 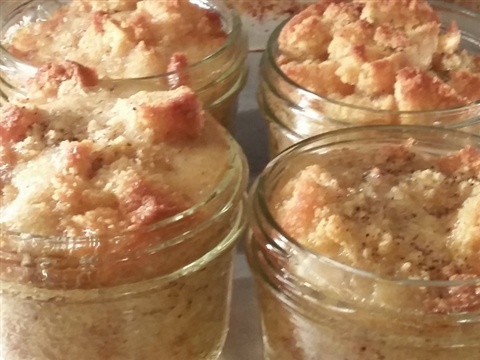 The actual cornbread pudding is incredibly dense and just the right amount of sweet. 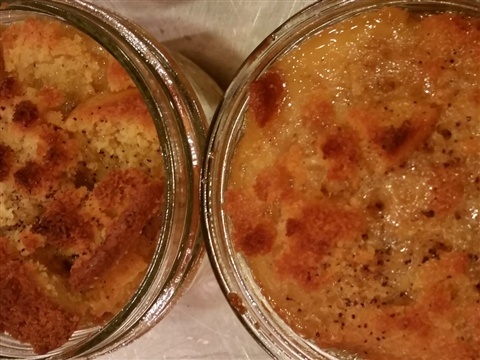 Once you make bread pudding with cornbread you will never go back. 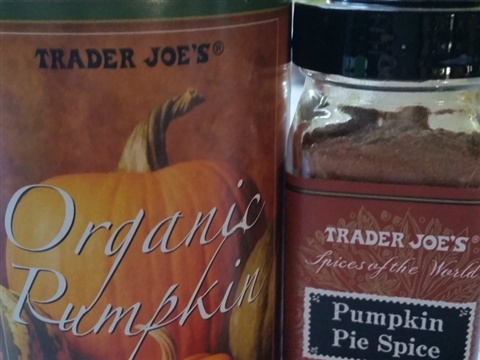 I think you should try this recipe for Thanksgiving to go alongside your pumpkin pie. 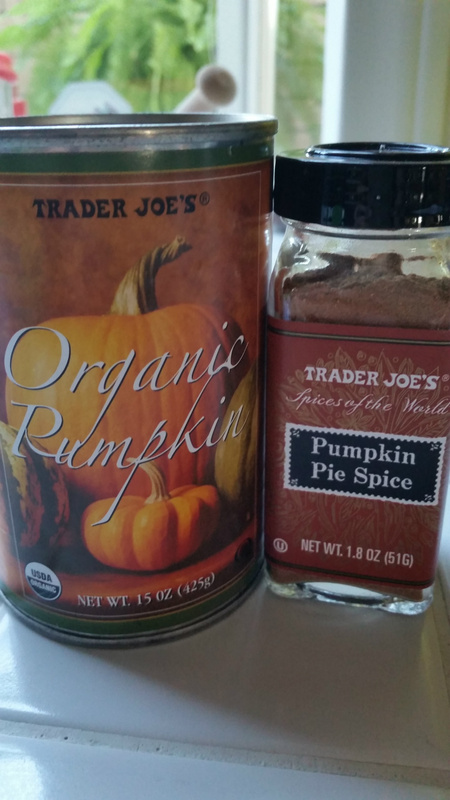 This recipe is from Southern Living Special Collector's Edition magazine: Best Fall Baking 2015. I chose to make individual servings in small wide mouth canning jars. Preheat oven to 350 F. Lightly grease a 3 qt. baking dish or 8 individual ramekins. 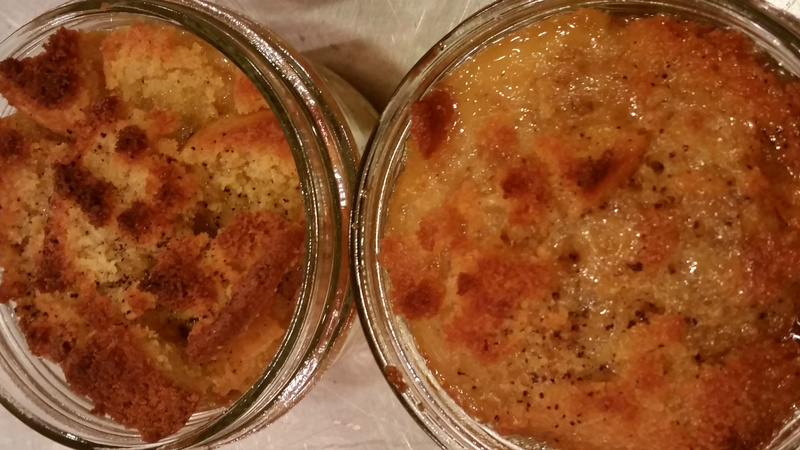 Cut cornbread into 2 inch pieces and place in baking dish. Cook butter in saucepan over medium heat, stirring constantly, until light brown. Remove from heat and whisk in milk, sugar, vanilla and salt until sugar is melted. Whisk in eggs and pour mixture over cornbread. Let stand 10 minutes. Bake, covered, at 350 for 30 minutes (25 if using individual ramekins). Uncover and bake for 30 (25) more minutes until light brown and set. Let stand 10 minutes. Serve with warm Whiskey Caramel. Whiskey Caramel Maple flavored bourbon made this sauce amazing! I had some trouble with this recipe. I boiled the sugar for 10 minutes as directed, and it became hard. I was unable to whisk in the other ingredients until I heated it again. In the end, the sauce came out perfect! The nutmeg in the caramel sauce is so delicious when it is served warm! Stir together 1 cup sugar and 1/4 cup water in a saucepan. Cook over medium-high heat, stirring constantly, 3 minutes or until sugar melts. Cook, without stirring, 10 minutes or until medium amber in color. Remove from heat, and stir in 1/2 cup heavy cream; 1/2 cup butter, cubed; 1/4 cup whiskey; 1/4 teaspoon salt; and 1/4 teaspoon ground nutmeg. Whisk together 1 large egg and 1/2 cup sugar in a heatproof medium bowl; slowly whisk caramel sauce into egg mixture. Return mixture to saucepan, and cook over medium heat, stirring constantly, 2 minutes or until thickened. Don't let looks deceive you. This may look like the cornbread pudding above, but this pumpkin flavored moist cake is worth making and has its own unique taste! It is also smothered in my bourbon caramel sauce! Think fall. Think pumpkin. 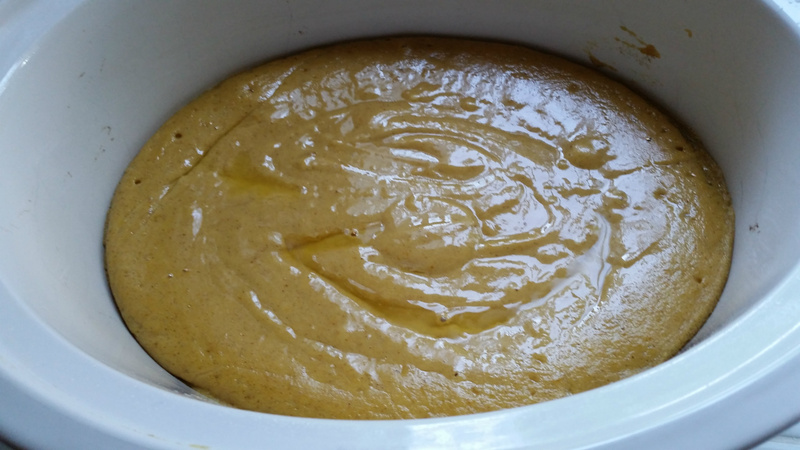 Think gooey, moist pumpkin cake. Think cooking it in the crockpot??? Yep. Did you know that you can cook just about anything in the crockpot - including cake? This delicious cake has the consistency of perfect gingerbread and is made with canned pumpkin. I was amazed at how well it cooked in the crockpot. I did cook it about 30 minutes longer than directed to get it done in the middle, and I didn't use a spatula to get under the sides and to the bottom middle before I turned it over, which I will do next time before removing it from the crock. Let me say that this recipe will not win any awards for looks. It is the shape of your crockpot and not that attractive. Who cares. 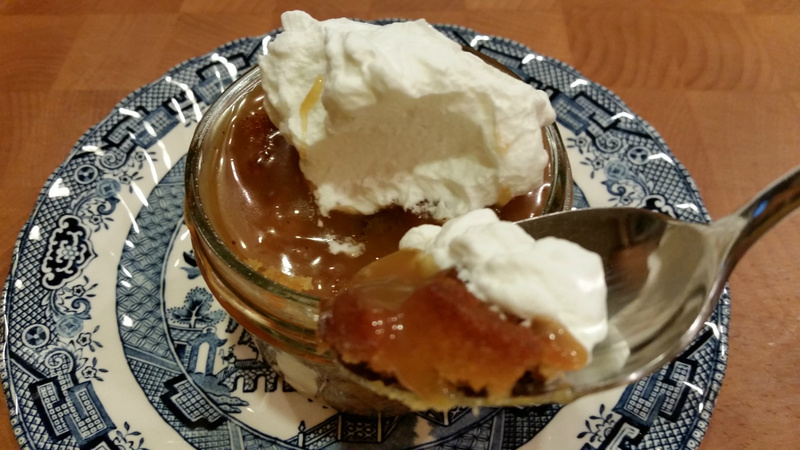 It is so good with the caramel sauce and a blob of whipped cream that NOBODY WILL CARE WHAT IT LOOKS LIKE. Trader Joe's has the goods! Directions: Coat your large crockpot with cooking spray and turn to "high." Combine all dry ingredients in a bowl and set aside. 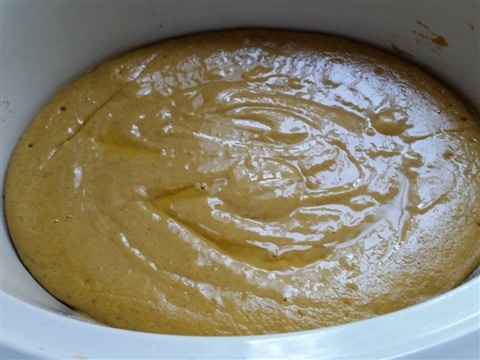 Cream together sugar, butter, eggs and pumpkin in mixer. Gradually add flour mixture and beat at low speed for a minute or until smooth. I cooked my cake for almost 3 hours! Spread batter evenly in slow cooker and cover. Cook on high 2 plus hours until center-inserted knife comes out clean. Take crock out of cooker and let stand for 10 minutes. Invert onto wire rack or serving plate after going around cake with a knife and under it with a thin metal spatula.